Maccaferri Hellas has already supplied high-quality products into several projects in Crete Island, such as the new road connecting the villages of Gazi and Krousonas, and many others. Now our qualified engineers are offering their support to this key road project design in Crete, leveraging on Maccaferri’s extensive know-how in the rockfall sector. With over 60 years’ experience in rockfall protection systems and natural hazard mitigation, Maccaferri can boast an extensive portfolio of rockfall applications with superior materials such as Steelgrid HR, HEA panels and Rockfall barriers. Some of our latest projects concern the protection of a new dam in Sourpi and the rockfall mitigation on the road from Gazi to Krousonas, which followed the two large projects in Kefallinia and Santorini. As our expertise in rockfall protection is expanding, we are able to offer our knowledge to designers and project owners to make roads safer from rockfall incidents. At the time of writing, several incidents have recently occurred due to heavy rainfalls in Chania, Western Crete. Roads were closed and vehicles were destroyed by falling rocks. A part of the historic Venetian Wall in the old city of Chania has collapsed. The construction of the VOAK (Northern Crete’s Motorway Axis) is one of the most important infrastructure projects on the island as the existing road is known to be dangerous with numerous casualties each year. Taking into consideration the important transportation problems affecting Cretans, the Greek Ministry of Infrastructures has announced that a motorway will be constructed. 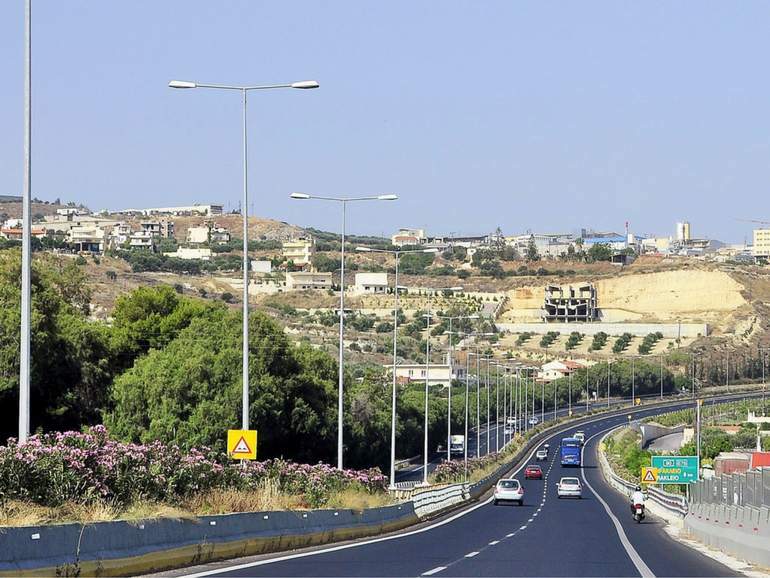 The first section of the motorway will cover the stretch between Chania and Heraklion with a total length of 140 km. A study is being carried out to provide important information on project progress and leading to a tender, which could potentially take place as early as 2018. The project is likely to be completed in 5 years, probably by 2023, depending on funding and contract award. We recognize that protecting infrastructure along Crete’s motorways, often installing rockfall mitigation systems on rock slopes in remote locations, can be testing. We can help designers and engineers to overcome the complex problems they may face and by ensuring that our systems are simple to install, durable and effective. Maccaferri Hellas stands ready to support the project. For technical support and advice, do not hesitate to contact us through our support page.